Sound (9.9/10) – I freely admit to being a sucker for a pretty face(plate), one of my few character flaws. As expected, I was immediately enamored with the appearance of my Noble 4S, so it’s safe to say I would have been doubly disappointed had it turned out to sound–well–disappointing. Happily, the 4S sounds rather good, with a neutral and natural sound that is, on the whole, more balanced compared to my other high-end customs. The bass of the Noble 4S works for me in both quality and quantity – it is not the most plentiful in the subbass region, giving up a bit of depth to sets such as the UM Miracle and Westone ES5, but it has a nice, healthy, balanced punch akin to the Miracle and HiFiMan RE-400. The Noble 4S is definitely not an enhanced-bass earphone but there’s a lot to like about the clean, natural low end. The 4S is less bassy than the VSonic GR07, for example, but its low end is tighter and cleaner. The midrange of the Noble 4S is very flat and neutral in tone. It makes both the Miracle and GR07 sound a little mid-recessed and appears a touch clearer as a result. Next to the smooth and liquid-sounding Miracle, the midrange of the 4S is more transparent and has a “raw” quality to it. The midrange is also where the Noble differs most from entry-level and mid-tier customs – even neutral-sounding ones like the Alclair Reference and Lime Ears LE3 can’t match the clarity of the 4S. Note thickness and clarity always make for a precarious balancing act and the 4S performs as well as any other earphone I’ve heard on this front, making the Etymotic ER4S sound a touch thin without yielding to it in clarity. Moving through the upper midrange, the 4S remains very smooth and pleasant. It has a little less upper midrange presence than, for example, the Ety ER4S but overall the sound is very close. In fact, out of all the universal monitors I used in my comparisons, the ER4S was closest to the Noble in tone and balance. The Noble 4S has very smooth treble, too – it definitely isn’t lacking in treble energy but also isn’t as revealing of harshness or as critical of recording quality as, for example, the UE Reference Monitor and JH Audio JH13. The GR07 sounds quite splashy in comparison while the Etymotic ER4S is more similar, but still a touch brighter than the Noble. The presentation of the 4S is open and airy. Soundstage size is good – about on-par with the Heir 8.A and Hidition NT 6 customs and more spacious and open compared to the less expensive Lime Ears LE3 – and overall imaging is just short of the JH Audio JH13. The RE-400 is one of my favorite earphones in the sub-$200 range, pursuing a balanced, slightly mid-focused sound signature with very smooth treble. While the RE-400 is a touch on the warm side of neutral, the Noble 4S is balanced out by its brighter, more energetic treble. The bass of the two earphones is similar in impact but the Noble is tighter and resolves detail better in the bass region. The midrange, where the RE-400’s focus lies, sounds veiled with the HiFiMan set compared to the 4S. The treble of the RE-400, too, is dull and lacks crispness in comparison, causing it to sound muffled next to the crystal-clear Noble. The brighter Noble is nonetheless very smooth-sounding when it comes to treble and has a wider presentation as well, making the RE-400 sound a bit small and in-the-head. There is, of course, a tenfold price difference between these two earphones and much less than a tenfold difference in performance, but, great as the RE-400 is, it can’t keep up here. Another relatively inexpensive universal monitor, the VC1000 uses dual balanced armature drivers and actually makes for a better matchup against the Noble than the RE-400. For the most part, the VC1000 can compete with the Noble in clarity but has a leaner sound and its bass lacks the tactile impact of the Noble. The Noble sounds more natural when it comes to bass impact and body. The Noble also has a thicker note presentation and fuller sound. While the earphones are similarly balanced overall, the Noble is smoother and more natural. The VC1000 sounds splashy in comparison and has a narrower, more in-the-head presentation. Overall, the signatures of these two earphones are a pretty good match and the Noble can be considered a VC1000 upgrade quite easily. The V6-Stage is one of 1964EARS’ flagship earphones and provides a nicely balanced sound. The Noble 4S pursues a different type of reference signature. 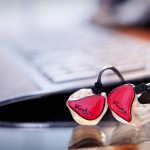 For one, it has less bass – the bass extension is similar between the two earphones but the V6-Stage has more impact and its sound signature is on the whole warmer and more colored than that of the Noble. The Noble, on the other hand is flatter and more neutral, and is much more forgiving of sibilance than the V6-Stage. The 4S also has a broader soundstage and provides a slightly airier, more spacious presentation than the 1964EARS set. The quad-driver, silicone-shelled Noble is different from my other “reference” custom IEMs mostly in that its sound is more mid-centric. Sets like the JH13, UERM, V6-Stage, and even the Miracle tend to have more bass and stronger, more energetic treble than the Noble. The 4S, on the other hand, reminds me of HiFiMan earphones in the way it presents a neutral signature in a more mid-centric way without masking detail. It sounds very flat, with less bass compared to the UERM and a more neutral tone. The Noble is an amazingly smooth earphone that makes the UERM seem a little peaky in the treble region. Tonally, the 4S makes the UERM sound a little colored – no small feat by any means. 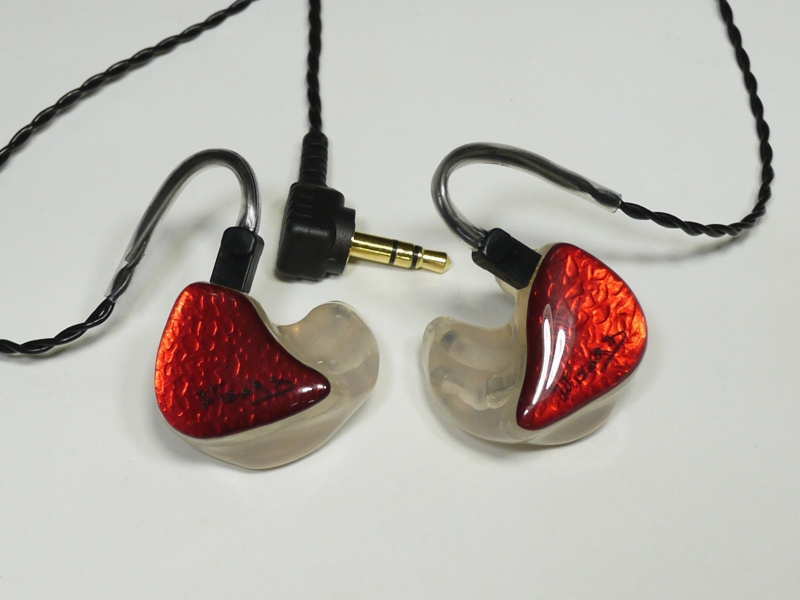 In comparison to the more level Noble, the UE Reference Monitor has a bassier sound and added treble energy. JH Audio’s 6-driver model is rather neutral and balanced save for a small bass bump. The 4S differs from it in sound signature more so than performance. On the whole, the 4S sounds more neutral to me. The JH13 is a little warmer and has more bass impact and depth. It is also a bit more full-sounding as a result, which makes its outstanding clarity all the more impressive. The 4S sounds more mid-centric – unlike the JH13 and most of my other custom IEMs, the 4S is not even a little v-shaped in signature. Moving on up, the JH13 has more treble sparkle while the 4S is smoother and more forgiving. Personally, I don’t find either the bass or treble of the JH13 excessive, but the neutrality of the 4S appeals to me a great deal. Lastly, due in part to its deeper and more powerful bass, the JH13 sounds a touch more dynamic overall and provides a more layered presentation but the Noble is quite close here as well. While the JH13 is a neutral-sounding monitor with a bit of added bass, the Hidition NT 6 leans the opposite way – towards a brighter sound with a cooler tonal character. The triple bass drivers of the NT 6 grant it better bass extension with more emphasis on subbass compared to the Noble 4S but mid-bass impact is similar – neither earphone suffers from elevated mid-bass. The 4S does have a bit more presence in the lower midrange, giving it a fuller, slightly warmer sound, very similar to the “neutral” tone of the HiFiMan RE-400. Overall, the 4S sounds a little mid-focused but also very natural and neutral. The NT 6, in comparison, has less prominent mids and can at times appear a touch clearer thanks to its brighter tone. Lastly, the treble of the 4S is more forgiving but remains just as clean and resolving as that of the NT 6. Heir Audio’s 8-driver flagship is a warm and smooth affair, with endlessly extended bass and very non-fatiguing treble. Compared to the Noble 4S, the 8.A is significantly warmer and more bottom-heavy. It has quite a bit more bass, especially deep bass, providing a more visceral and tactile experience. However, even next to the bassy Heir, the 4S doesn’t sound anemic or thin and the bottom end. The 4S is more neutral in the midrange and brighter at the top. The treble of the darker-sounding 8.A is even smoother and more forgiving than that of the Noble, which is great news for those whose greatest audio-related fear is the potential for listening fatigue. Overall, aside from the huge difference in bass quantity, there are quite a lot of commonalities between these two earphones but the more neutral and accurate Noble appeals to me quite a bit more. Value (9/10) – The Noble 4S is a neutral-sounding monitor that is, on the whole, more balanced than the other “reference” customs I have here. Its ultra-smooth, slightly mid-focused sound invokes impressions of a cross between Etymotic Research and HiFiMan universals and makes it a direct upgrade to certain other custom-fit sets, such as the Clear Tune Monitors CT-200 and Lime Ears LE3. 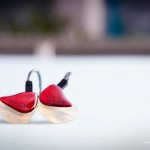 The aesthetics of the Noble 4S are reminiscent of Heir Audio – that is to say, fantastic – with the Wizard continuing to experiment with new looks and materials, and the comfort and isolation of the silicone shells are second to none. All in all, the 4S is one of the very few earphones I can’t find much to complain about with, and that alone makes it worth recommending. Hi Joker, thanks as always for the amazing resource. I’m wondering if you could compare the Alclair Reference to the 4S. I’m looking for a very neutral/balanced ciem, and frankly, the price of the Alclair is much more in keeping with my budget, but I’d be interested to hear what you think I’d be missing out on. I currently own the GR07(v1) and like their signature a lot, but want something a step up in performance and comfort. I ventured into custom iems once (DreamEarz 8X) and ended up taking a huge loss because of low-mid bloat that I wasn’t expecting and couldn’t tolerate, so I’m a little gun shy on higher prices ciems. The Reference and Noble 4S are on slightly different sides of the flat/neutral sound spectrum. The Reference is more similar to the GR07 in that it tends to be a little more laid-back in the midrange, has good bass punch and depth, and boasts treble that isn’t too smooth. The 4S is the opposite, with more prominent mids, smoother/more relaxed treble, and less bass impact and depth. It’s a little like comparing the GR07 to the HiFiMan RE-400, with the Reference being a more natural GR07 follow-up. I think that would be the better choice here. Given the choice between the Noble 4S and 1964 V3, which would you recommend? To be used for casual music playback and music mixing/production. Cheers! They are very different earphones but if mixing is one of the criteria, the more neutral/flat/accurate Noble 4S is the better choice for sure. Would the UERM be considered as an upgrade from the 4S? I currently have the 4C, and while I’m not looking to upgrade just yet, I’ll definitely do it once Noble’s 2-year warranty is over. I love the 4C’s sound, but I do sometimes crave more bass slam and treble sparkle once in a while. Yes, the UERM will do that for you. But I’ve only tried the Demo unit so I can’t say if a custom one will be better or worse than the other units in that price range that provide more bass and treble sparkle than the Noble 4S, such as the JH Audio JH13 Pro and the Custom Art Harmony 8 Pro. Is the 4C/4S warmer than the UERM (or vice versa)? I’m not really into warm sound sigs, so I try to stay away from that, but warm-neutral is fine with me. Thanks for the reply, by the way. Yes, I do consider these warm-neutral (like an RE-400 or TDK BA200 or Shure SE530). The UERM is brighter for sure. Great, looks like the UERM will be the next one on my list. Here’s hoping they still sell it after my 4C warranty ends. Thanks for replying! Great review, by the way! Thanks for the review. Seriously considering a pair of these. Are yours a custom Wizard design? They look great! Back to the question regarding the sound signature of the Noble and the Custom Art Pro, what are the main differences between the too? I’m currently looking into getting a custom somewhere down the line and am looking for something that would best ambient music. I’m thinking it would beed a big well-rounded soundstage, good bass extension, laid back midrange and smooth but extended treble. Only looking at silicone customs. Any other recommendations that would fit the criteria would be greatly appreciated! Extended bass is one of the very few things the 4S doesn’t excel at, so purely from a sound signature standpoint the PRO330v2 is closer to what you want. The Hamorny 8 Pro from Custom Art is closer in overall performance (and also price) to the 4S, though, and has better bass and a more spacious soundstage than the PRO 330v2. It’s probably too bright for you, but the non-pro Harmony 8 may be a viable option (the two are supposed to only differ in the treble). Worth looking into, anyway. I was thinking of the original Harmony 8 as an option.. my concern is that it is still good treble extension and presence, just with no significant spikes in the upper frequencies. Value wise, would you say the 330v2 or Harmony 8 original is a better option? I only have the 8 Pro, and it’s hard to say whether it’s worth it over the Pro330v2. It happens to also fit my preferences better, and with the better bass and soundstage I’d say it’s worth the price hike. 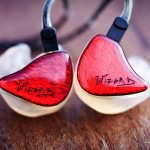 Don’t forget that if you’re outside of the EU you’ll be paying a discounted rate for Custom Art IEMs because the VAT gets taken off. Hey Joker. It’s a big difference between Noble 4 universal and this custom? Do they sound similar? Wish I could tell you but the 4S is the only version I have. Can you compare RE272 and Fidelio S2 to 4S? Sure – compared to the Fidelio S2 the Noble 4S clearer and more balanced, but also a little thinner. The S2 has more bass emphasis and sounds a little fuller as a result. It lacks some of the clarity of the 4S, though, and gets harsh a lot more easily. The 4S, despite having a similarly healthy amount of treble energy, is smoother, especially at higher volumes. Lastly, the 4S sounds more airy and open and seems to have better soundstage depth and layering while the S2 is more closed-in. I’m a fan of the S2, though, and I really don’t think it’s miles behind here, just not quite as capable in several ways that all add up. As for the RE272, this one is tougher. The RE272 is my favorite HiFiMan earphone and one of the best neutral-sounding universals, in my opinion. The RE272 and Noble 4S are not too far apart in sound signature. The Noble mostly just sounds cleaner and more transparent, especially at higher volumes. It also has more bass impact and its presentation is more open-sounding and dynamic. The RE272 is a little less clear and its note presentation is a touch thinner and less natural overall, but it’s not far behind the 4S in that regard. Looks like 4C/4S ticks all the right boxes for me. From your comparisons, I get the feeling that 4S is better than the sum of it’s parts. Many universals don’t seem to be too far apart when it comes to certain aspects, but 4S feels like it’s a more complete package. I think that’s an accurate assessment. It’s the overall balance, poise, and cohesiveness that really make the 4S work. I have been contemplating of which CIEM I should put my money in. This 4C/S or Custom Art Pro 330 v2. Seems both are great options. But source wise, do you know which would be the better combo with only iPhone 5S, and are the signatures quite similiar? Seems some CIEMs do not sound one tenth of what it should unamped and with no high quality source. Thanks! Not an iPhone user so I couldn’t tell you, but I’ve been impressed with iPhone sound quality every time I’ve tried one and neither of these earphones is particularly difficult to drive. You won’t be losing a lot of sound quality, but at that level it’s really the little things that you’re paying all that money for. If you’re going to be spending $600+ on an IEM, maybe you should at lest consider getting a dedicated source later on down the line.